The UK is to get a new national music station, called Union JACK, which promises to play only the best UK music from the past 60 years. The interactive station, giving listeners the chance to choose tracks from a playlist of thousands of songs, is being launched during a week in which just five of the current Top 20 singles are by British acts. 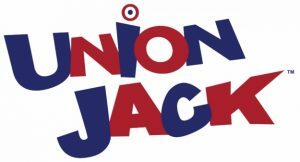 Created by the team behind Absolute Radio and Jack FM, a North American commercial radio brand which runs three local stations in the UK, Union JACK will play only British music, dating from the birth of rock ‘n’ roll in the 50s. Available from 11am today to digital DAB listeners, streamed live online and via the RadioPlayer app, Union JACK’s selections incorporate classic 60s rock, punk, 80s synth-pop, Britpop to contemporary indie bands and British chart-toppers such as Sam Smith. There will be no “irritating” DJs interrupting songs. The “voice of Union JACK” will instead be Paul Darrow, the Blake’s 7 actor, who will record topical and humorous links, written by a team of JACK writers and inserted into the music stream. Tracks are pushed up and down the playlist depending on the choice of listeners through the station’s app. Staples of British music, such as The Beatles, The Rolling Stones, The Stone Roses and Coldplay will feature along with some more surprising choices. The “best of British” playlist includes Bronski Beat, The Psychedelic Furs and General Public, a band formed by former members of ska group The Beat, whose music would not normally appear on “golden oldie” commercial radio station playlists. The Jack team said there were no nationalistic overtones to the choice of station name. The brand will also promote new British talent, with Nottingham synth duo April Towers featuring on the launch playlist. UK artists make up around 50% of Radio 1’s daytime playlist, exceeding a minimum quota of 40%. More than 60% of its daytime offering is “new” music with Radio 1 and 2 committed to increasing the proportion of new UK artists in the years ahead. However the singles chart, largely reflecting the popularity of Spotify streaming playlists, is currently skewed towards overseas club hits.